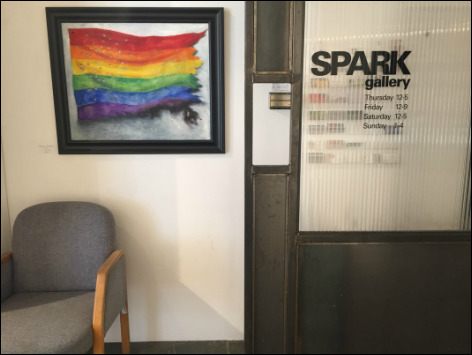 Spark Gallery hosts an annual Members’ Show, Supporting Members’ Show, and a juried or Open Show. See Calendar above for exhibition details. Spark Gallery is currently accepting new members. Click here for more information. The North Gallery at Spark is designated for public use. Spark actively welcomes members of the community to apply to show along side our members. It is a unique opportunity to bring diversity to our exhibition schedule and outreach to the community of working artists in Denver. If you are interested in showing at Spark, please apply. The fee is $400 per month. Applications are considered on a rolling basis and subject to approval by those showing in the concurrent exhibition. For more information please contact Debra Bryon. Spark does not rent space for events.